Tai Chi (Taijiquan) is a sequence of postures connected by flowing movement, practiced with focused breathing and a calm mind - a type of moving meditation. The slow, smooth movements gently stimulate the internal organs and joints, and improve energy circulation. Tai Chi is a gentle, low-impact exercise suitable for adults of any age and varying physical ability. Practicing Tai Chi can reduce stress, increase energy, balance, and flexibility, and ease symptoms of many health problems such as high blood pressure, asthma, back pain, and arthritis. ​We teach Yang-style Tai Chi as learned from YMAA founder and Tai Chi master, Dr. Yang, Jwing-Ming. Click here for more information about out Tai Chi Lineage. 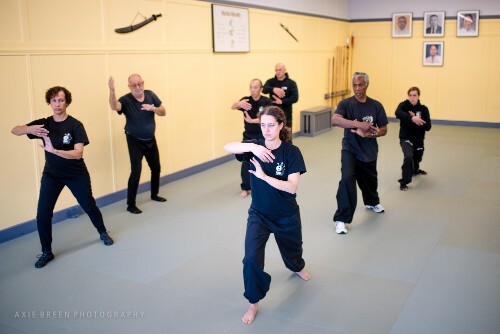 ﻿Intro Tai Chi is a shorter class which focuses on the basic principles of tai chi and qigong and explores the first section of the Yang style long form. It is a great way to get a taste of tai chi for new students however, all of our tai chi classes are appropriate for beginners and are open to all students. ﻿Qigong means "energy work." Qi (Chi) is internal energy, the bioelectric force in all living things. Qigong is the ancient practice of using the mind to naturally develop the body's energy through breathing, movement and meditation. It is used to improve health and to develop power for martial arts. 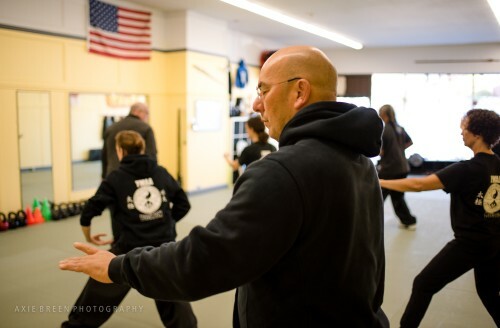 It is an integral part of YMAA Kung Fu and Tai Chi classes. Learn more about the history of qigong here. 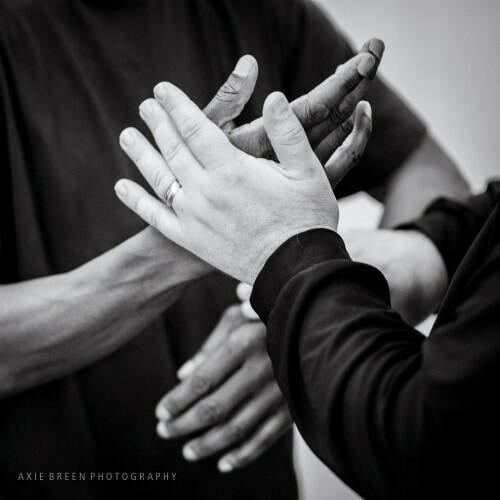 Pushing Hands is the practice of tai chi principles with a partner. It is a fundamental part of training Tai Chi as a martial art. Rather than using force against force, tai chi principles teach the student to redirect incoming energy and use it against an opponent. Pushing hands trains you to listen to and to feel the opponent's incoming force (jin), understand it, neutralize it, and then counterattack. There are two aspects of pushing hands training. The first emphasizes feeling the opponent's energy and then neutralizing it, and the second emphasizes understanding the emitting of martial power and its applications. 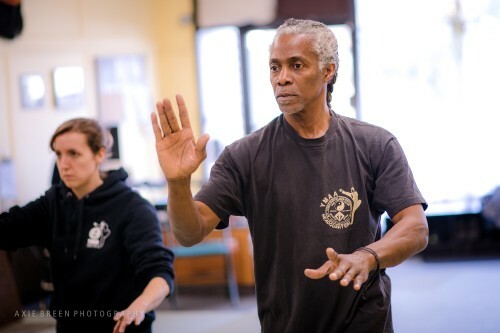 Tai Chi Applications class teaches students how to use tai chi movements and postures for self defense. Fill out the form below and we'll contact you to set up a class.